Description: hero can learn up to 10 skills which will display normally. A nice compromise between the vanilla's 8 and wog's 12 hidden skills. Edited by Archer30 at 01:08, 19 Nov 2018. Description: in battle, press +/- to double/divide the power of resurrect spell, as well as its mana cost. Will not work unless all remaining enemy stacks are either blinded or hypnotized. The purpose of the mod is to eliminate the (insanely) long resurrect phase after hard battles in some custom maps. It will also work with custom resurrect values set at map start. Hi guys - I need your help. 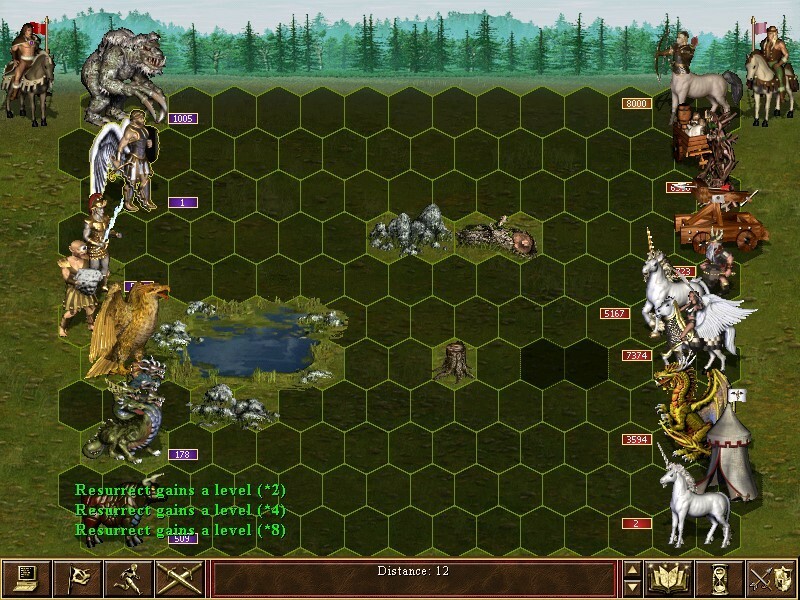 I look for new creatures mod (I'm new in modding) for Era II random maps. I have seen some packages before but can't find them anymore. Look at the first post in this topic and read red message. In the meantime I did that and downloaded them. Next issue: I move the mods with the mod manager, set it enabled, but can't see any new creature. There is no readme in these mods, so I don't know how to set correctly. Any idea? Thats because those utility mods propose graphics only, they deliver creature both battle and adventure map graphics + portraits, then you must script them for replacing. Era does not have extra units by itself (except wog ones), for that there is VCMI and Hota. Edited by RerryR at 12:13, 03 Nov 2018. An ERA 2.7 Mod for Random Maps which allows fine-tuning of game difficulty by altering neutral stacks on the map. 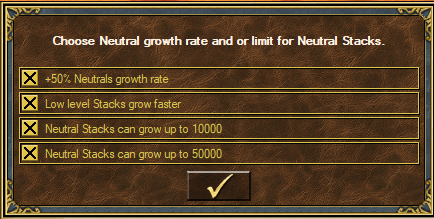 This Mod brings some long wanted features as removing the growth limit of 4000 from stacks and allowing the set the starting size or increasing the battle strength of units as the game progresses. Edited by Salamandre at 08:17, 04 Nov 2018. 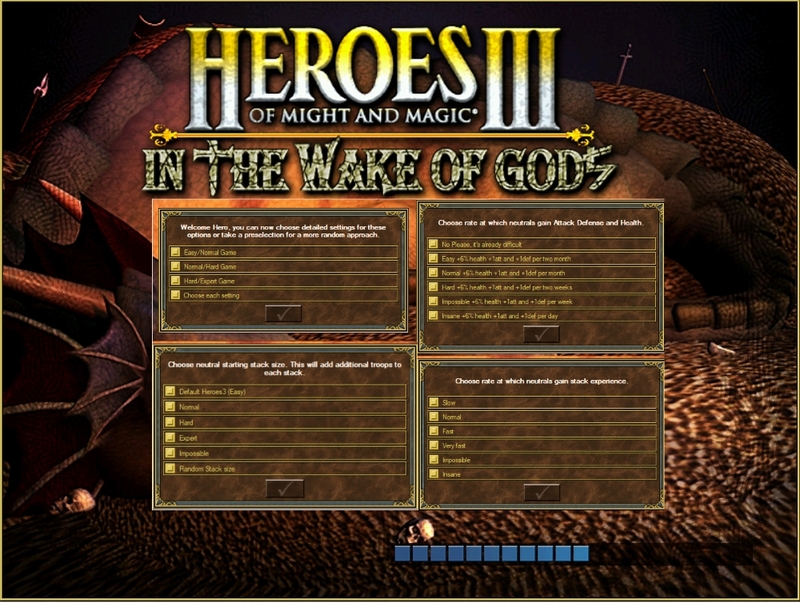 Description: in hero screen, press "K" key to visit the Altar. Hero must be at least level 10. One thing I don't get, Altar was supposed to work only once per week, here at home I already removed that restriction years ago but this poses some different questions: each hero can use it once a week or is it at dispose all the time? do you need to find one object to start having access to it? if you used it with one hero the others still have access to it or is it dependent of the number of objects you found? Edited by Salamandre at 08:19, 04 Nov 2018. That is much less interesting. 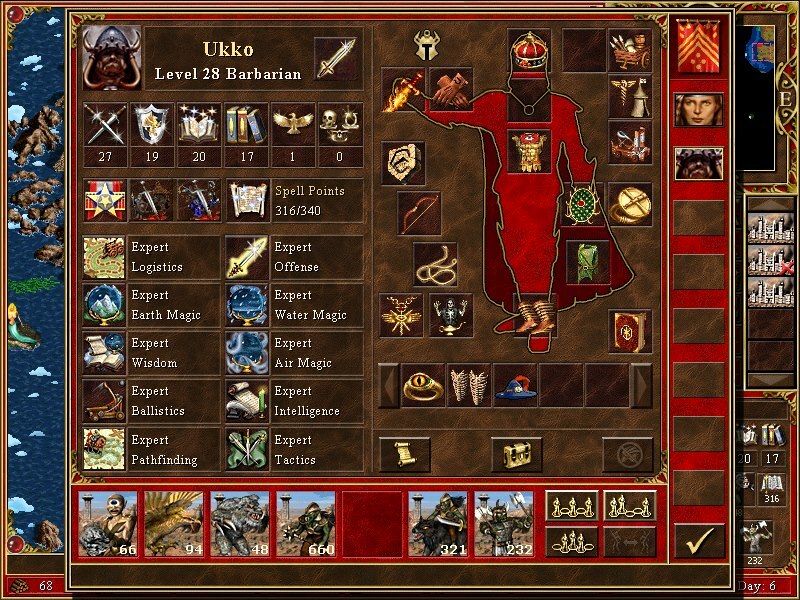 I was already imagining to kill 50.000 ogres with Necro specialist equipped with Cloak and then turn them into genies and immediately get a super army for a living hero. Altar of transformation is a wog script so if you change the trigger (put to some icon instead of visiting object) you get it portable, thats one line change. Altar of sacrifice is vanilla dialog and has no wog trigger until now, so igrik came with the address then I added triggers. I always wanted one, as 99% of maps don't have this object then you end with zillion artis and full backpack. I get it's much more advanced programming but for that function you made the Master of Craft and since one needs to be at level 10 to use the Altar any relic will give you a much better reward crafted then sacrificed. Of course, with Altar you can sacrifice lower artifacts for experience instead of resources or spellpoints but those are usually of some use too. Edited by igrik at 06:36, 16 Nov 2018. In Red frame all Artifacts, Pandoras and Spell Scrolls are protected. Cool thanks,will try it out. Does it also work with standing heroes?